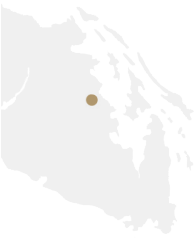 Alderlea Vineyards is perfectly situated on a south-facing ridge in the Cowichan Valley, overlooking Quamichan Lake. The lake draws the cold air off the land, reducing spring frosts, assisting grape ripening, and moderating the August heat to ensure balanced acidity in the fruit. 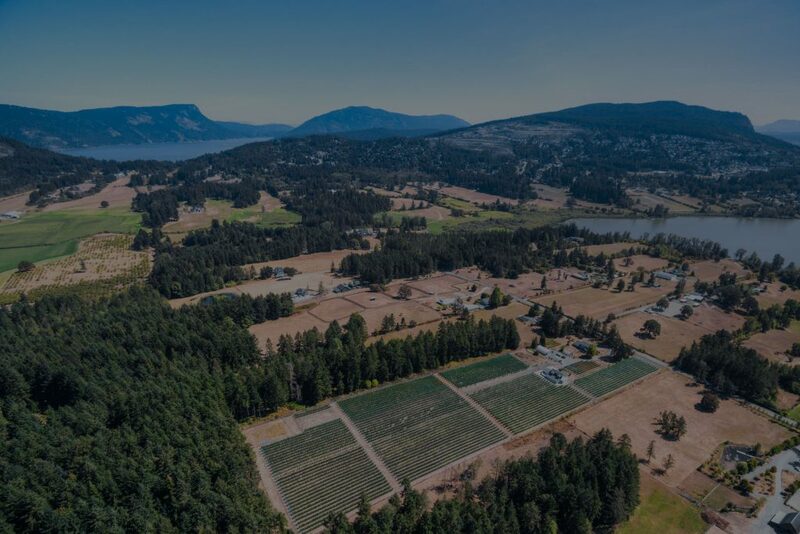 The vineyard is sheltered from coastal Pacific winds by Mount Provost and is one of the warmest locations in the Cowichan Valley. Alderlea’s extremely rocky soils provide excellent drainage and heat retention. This unique site was selected by Roger & Nancy Dosman, Alderlea’s founders, 25 years ago after extensive research to identify the ideal parameters for a cool climate vineyard. After five years of searching, they found the exceptional location that was to become the iconic Alderlea Vineyards.